In my view, the most common architectural flaw made by network engineers is that the data centre has a single network. I believe that the correct perspective is that any “network” is a “network of networks”. All of these networks are connected (more correctly, interconnected) to form a network of networks. All endpoints are able to communicate except where limited by security policy in firewalled control points. 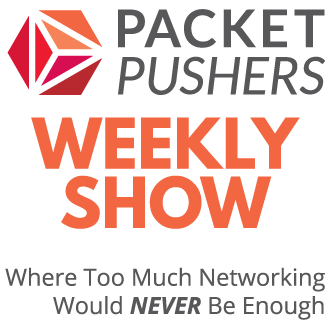 For some customers, some of these networks are futher ‘sub-networked’. For example, a legacy three-tier switch network that copes with the limitations of spanning-tree is often described as three network layers “Core/Distribution/Access” with each layers having its own properties. Each of these network have differing hardware and software design criteria. DMZ Network: weird features, limited port count. When considering strategic investment planning over five or ten year cycle, the “network of networks” is a valuable tool. Its more practical to describe smaller systems and then prepare a progressive strategy paper that solves smaller problems in a manageable and practical way. Sure. This isn’t as ‘heroic‘ as designing a Titanic-sized network with huge dollar values and gaggles of sales grunts desperate to get a sniff of the deal. Missing out on a few free lunches with unlikeable people should balanced against an improved personal life when each network upgrade is small, management and peaceful. Recognition of the “network of networks” as a design principle leads to new ways to allocate budget and improve services incrementally. 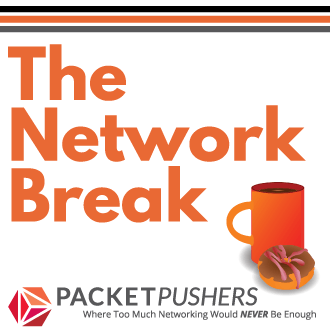 Treat each network as a separate design space with challenges and criteria unique to that network. Have a master architecture to connect each of these networks together in stable and reliable way. e.g. L3 routing, IP addressing strategy, DNS/DHCP conventions. Upgrade each network according to business need. 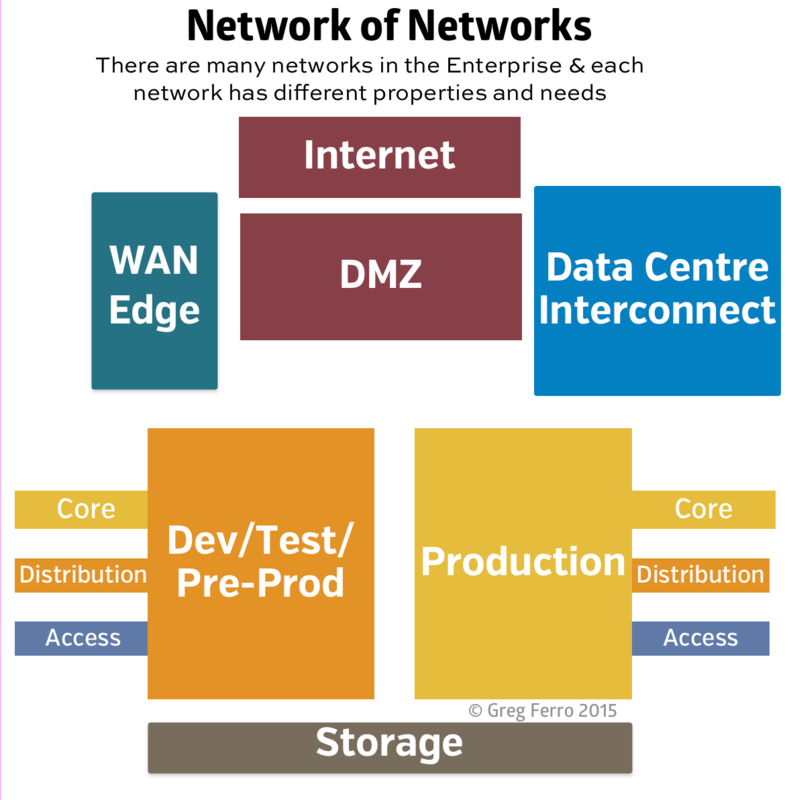 By products/solutions/platforms that are specific to each network. Everything is connected and might lead to a cognitive bias where you see the network as a single system. This perception leads to “lift & shift” or “forklift” solutions that require complete replacement of joined systems. For most cases, it is better business for your employer to have a continuous rotation of systems than the current approach of buying once-in-a-decade network upgrades that suits a vendors business model.